There is a lot that goes into having a beautiful yard and garden. Besides all the planning, planting and mulching there is a very important step that too often gets overlooked. Putting a good edge between your garden and your yard will give your landscape a finished look and make it easy to maintain. This post will show you how to edge like a pro. 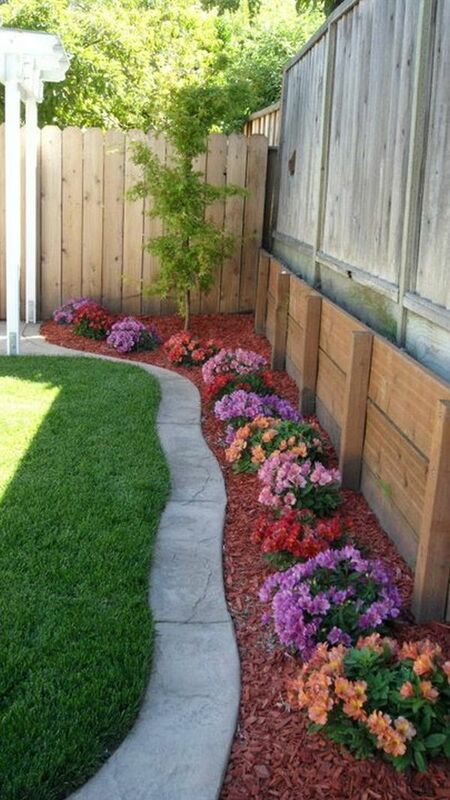 This takes a little work but the results will be well worth the effort as your yard and garden will blend together beautifully. You can mow right over this edging as it is installed level with your yard. Use spray paint to mark your yard where you want to have your edge. Dig down along the marked line to create a barrier and ditch between the yard and garden. You need to leave room for gravel or class 5 to set your edging material on. The more gravel you use the more stable your edge will be. 3-4 inches of base should do the trick in most situations. This picture shows a concrete edger. You can use stone, bricks or timbers etc to create this edge. After you are done digging, put your base (gravel) down and level so that the finish paver is level with the yard. 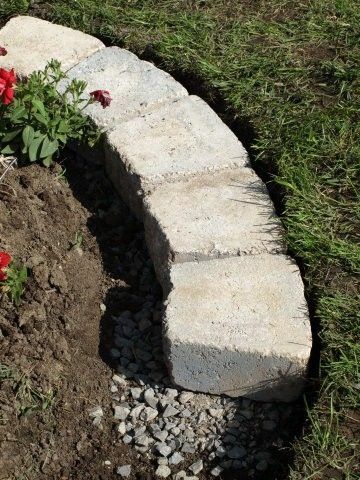 Make sure you dig enough so that there is a gap between the paver and the garden. You need this to fill with mulch for weed control. Don’t be cheap when you mulch. This is going to save you time weeding etc and it is the finished look for your project. 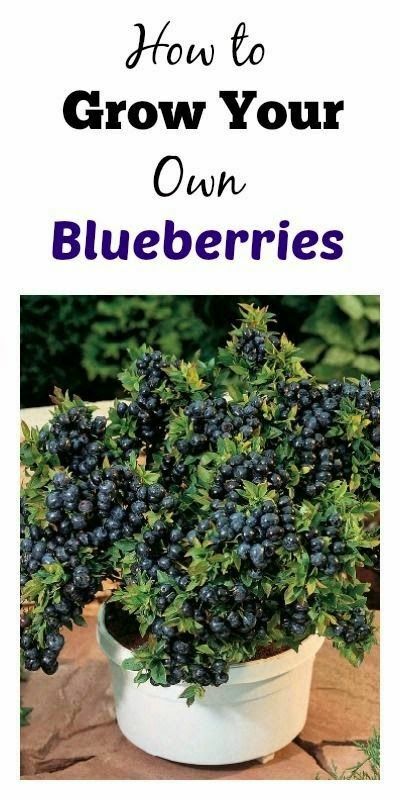 For more gardening tips click HERE. Do you have a gardening tip to share? We would love to hear from you. Submit your gardening tips HERE.